No. 5 draft pick Jordin Canada has impressed her Seattle Storm teammates in the first week of training camp. Photo by Neil Enns/Storm Photos. 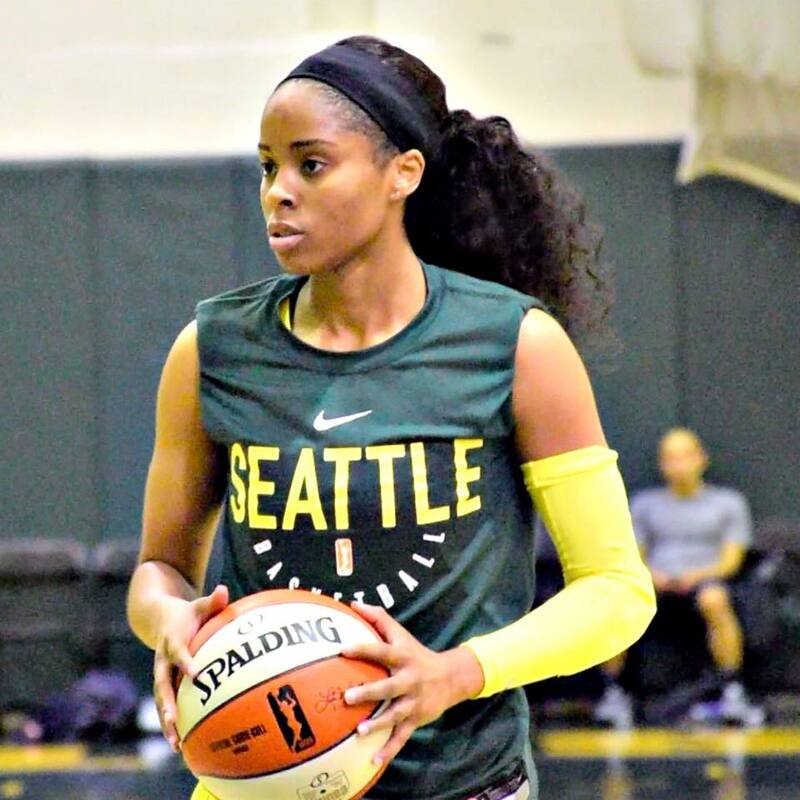 All eyes were on Jordin Canada as training camp began for the Seattle Storm this past weekend, and rightfully so. The franchise is now hoping it has found not only a capable reserve in 2018, but a long-term starter in its No. 5 pick out of UCLA. Her new teammates had high praise after day one, and for more than just her trademark speed (though, it was at top of mind). Fourth-year guard Jewell Loyd called Canada “super-intelligent,” and was impressed by her awareness on the floor. 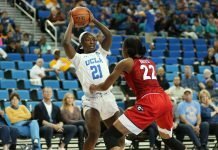 “Her ability to get to the lane, and then know the shooters in the corner, find them and give them perfect passes, that was something that we noticed right away,” she said. And as for the 10-time All-Star she’ll be backing up? But point guard of the future isn’t the only issue the team hopes it addressed in offseason. With the additions of a pair of 6-4 posts in Courtney Paris (free agency) and Natasha Howard (trade), new coach Dan Hughes has a new pair of veterans to boost a unit that finished next-to-last in rebounding and dead last on the offensive glass last year. 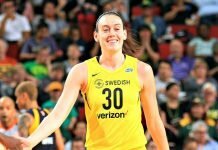 Third-year forward Breanna Stewart said that influx of size allows them to play a “riskier” on the defensive end. Paris is not yet with the team, one of three players still finishing their seasons overseas (Alysha Clark and Kaleena Mosqueda-Lewis the other two). Though Hughes admits its not ideal to be without a few key contributors, it’s just the nature of the league. “The thing I learned in the WNBA from day one is that we don’t always have the time that we need, but you make due with the time that you do have,” he said. In the meantime, several other contenders are battling for at least one open spot on the roster. 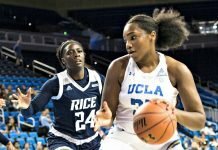 That includes third-round pick Teana Muldrow out of West Virginia, Serbian international Aleksandra Crvendakic, and a trio of undrafted free agents in Brittany McPhee (Stanford), Emily Potter (Utah), and Khaalia Hillsman (Texas A&M). Hughes will likely get a long look at all of them during the team’s first exhibition game, next Tuesday against the Mercury at KeyArena. Those two sides will square off against on May 12 in Phoenix. Those games will also be the first for the existing core of Bird, Loyd, and Stewart under their new head coach, tabbed in the offseason to take over for Gary Kloppenburg, who served as interim head coach for the last part of the 2017 season and who remains on staff as an assistant. Final rosters must be set by 2 p.m. PT on May 17.